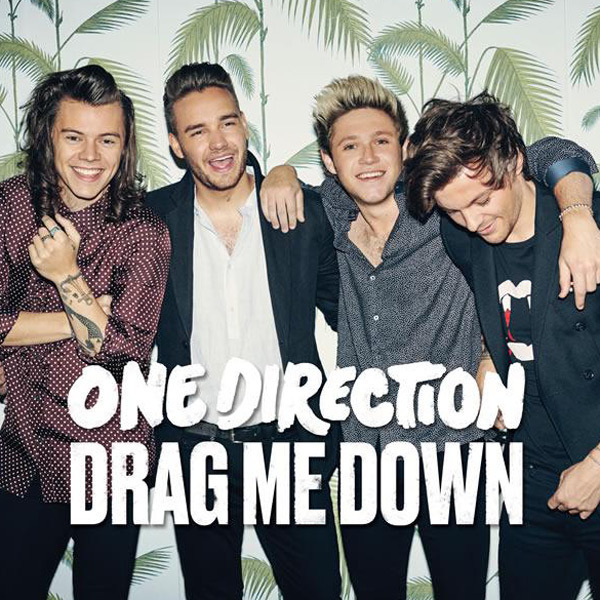 Drag Me Down has been released for quite sometime already. The song and music video have already been feasted upon by millions and it is only now that I share the song to you, my reader... not as a revelation but as a celebration of my personal experiences and outlook in life. Challenges and tribulations are ever-always present, but I do believe nothing disturbs a free and peaceful spirit. The song just resonated in me because of the message that I can relate with, especially of empowering one's self and manifesting independence. The One Direction song may be focusing more on love, but there is nothing greater than loving one's self and finding one's niche in the universe and those are just the starting point of making you strong physically and internally. And eventually, as the song suggests: nothing will drag you and me down. So here it is: watch One Direction's Drag Me Down music video. Hope the song has uplifted your spirit as well. As few thoughts on the video: This is I think the very first One Direction music video that features the remaining four members of the band (after Zayn Malik left the group). It's kind of ironic, also, that this happened after the latter's departure, giving away the message that despite what happened the band will remain strong, or stronger than ever. On a side note, I just noticed that Louis is now getting more air and video time, if you know what I mean. The astronaut theme in the video is a paradox. It's as if the band's journey is reflected by a flight of a spaceship: the most crucial and hardest part is the moment when the craft is at the verge of breaking free from the grasp of gravity, hence "drag me down." As a juxtaposition it shows that the member have to train hard to face the hardest struggles, to prepare and eventually surpass all personal limitations.